If you're building up a fixed gear bike, you're probably aware of the many different parts and brands vying to be a part of your bike build. 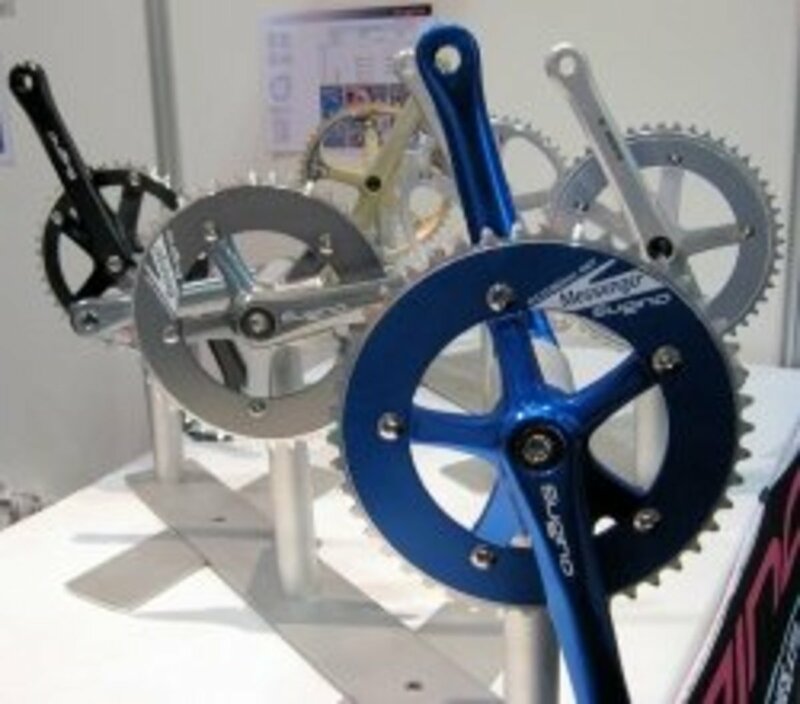 To ensure a worry-free pedaling experience, it's very important that you select a good quality, single speed crankset. That being said, figuring out what to look for and what to avoid can be crazy difficult. There are so many different brands and styles you'll run into. What's the difference between fixed gear and single speed cranksets? What's the optimal gearing ratio? What about track components? Which parts are suitably high quality, and which parts are shoddy garbage? There's also a lot of conflicting information about what's actually necessary and what will actually fit the bike frame you currently have. This article is meant to help anyone who is building up a fixed gear bike, and wants help tracking down the best single speed cranksets on the market. We'll take a look at some of my favorite fixed gear cranks on the market today, giving a brief review of each one and offering pros and cons. I'll also touch on what you should look for versus the unnecessary "fluff". I'm not really a big brand enthusiast, and I'm usually pretty open-minded. That said, in the world of single speed crank sets it's really easy to be burned by an unknown company. The thing is, there are a lot of bicycle parts manufacturers. The vast majority are in China or Taiwan. That isn't a bad thing, most bike components are crafted there. However, unknown brands tend to cut corners. That means anything from cheap quality metals, inconsistent finish work, or shoddy alignment; it all adds up to a higher likelihood of a part failing you. Each crank has a different chainring tooth count (that's the number of little teeth the chain hooks onto). 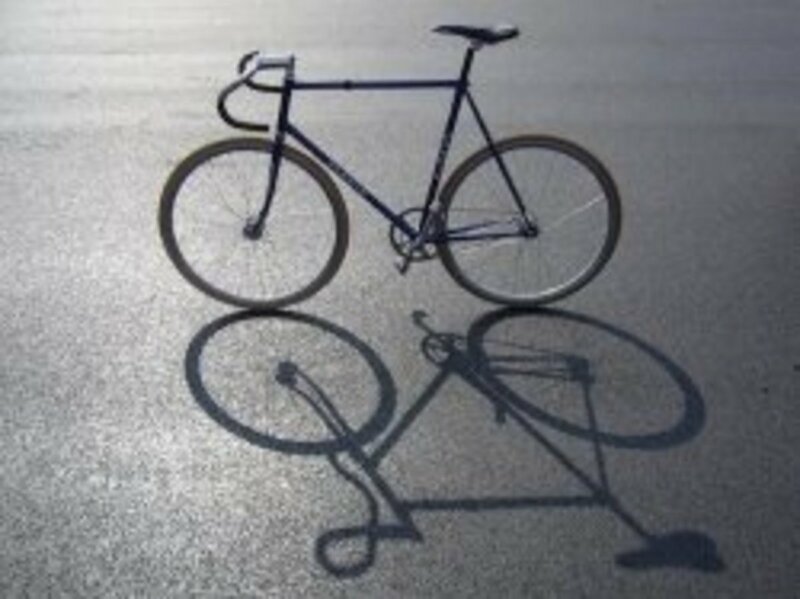 This is one of the biggest factors in how a fixie or single speed will ride. 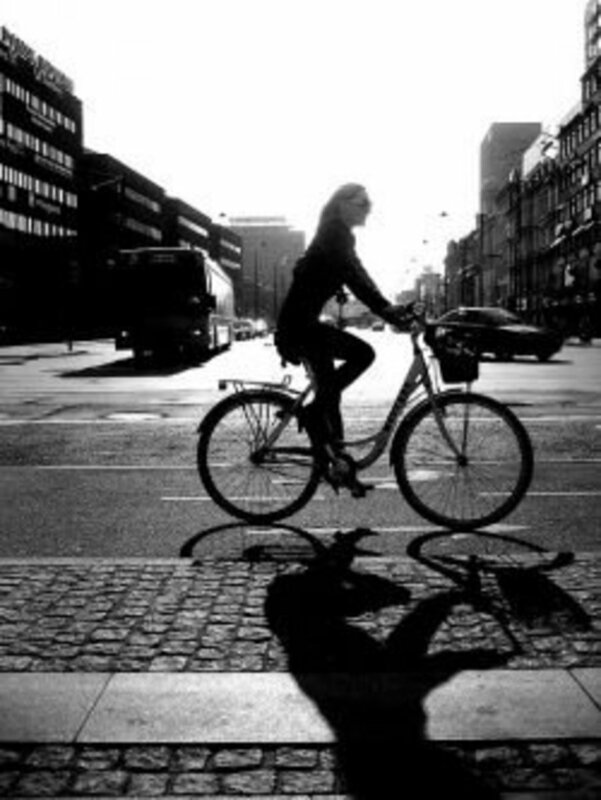 Going up by a few teeth can make a bike a lot harder to pedal uphill, or a lot faster on straight stretches. I'd look for single speed cranksets that match what you currently like. Smaller chainrings are better for steep inclines and hilly regions, while higher tooth counts are better for flat areas and high speed. My personal 'go to' ratio is around 16 or 17 teeth on the back cog, and 42 to 44 teeth on the front chainring. 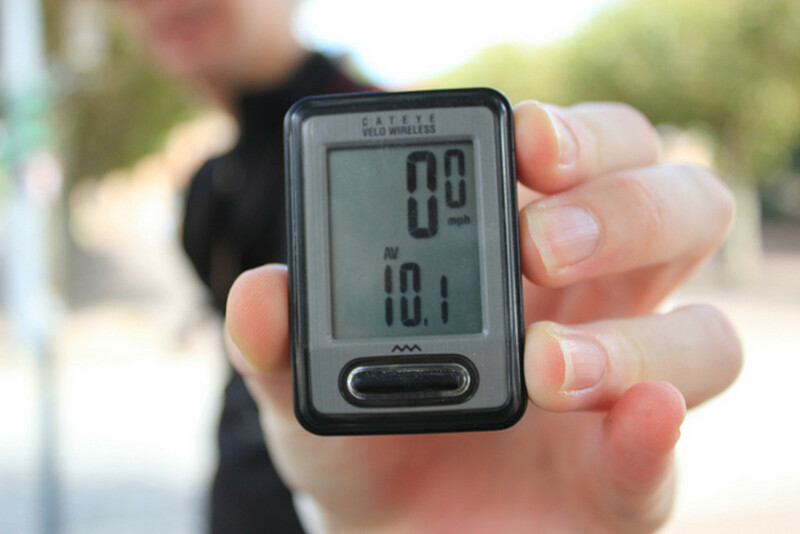 It's a great ratio for a mixed ride, since you can handle the occasional hill. Whatever single speed crank you end up with, just make sure it's a set. Whatever your intended usage, this is a nice choice because it combines light aluminum alloy single speed crank arms with a steel chainring. These two materials make a good combination because the chainring ends up being more durable. Retrospec's offering is a a three-piece crankset, and it comes in 44, 46 and 48 teeth depending on your preferred gearing. It's intended for square tapered bottom brackets, and it is compatible with 9/16" threaded pedals. As mentioned before, I'd run the smallest front chainring if you expect to ride in a hilly area, or go for the 48 if you crave speed on those flats. At under $50 this is a budget-priced crankset for fixed gear or single speed builds of all types. I've been very impressed with each of these cranksets I've installed. The enduring Origin8 Track Crankset is a popular seller for good reason. It has a definitively classic look that works well with both vintage inspired track builds, but also plenty of colour for those fixies built to catch your eye. Oh, and it's light, tough as nails, and priced extremely well. The set comes equipped with a 46 tooth chainring, which is a good all-around crank for various conditions. It's made out of forged aluminum alloy, which makes it as strong and light as you'd expect. 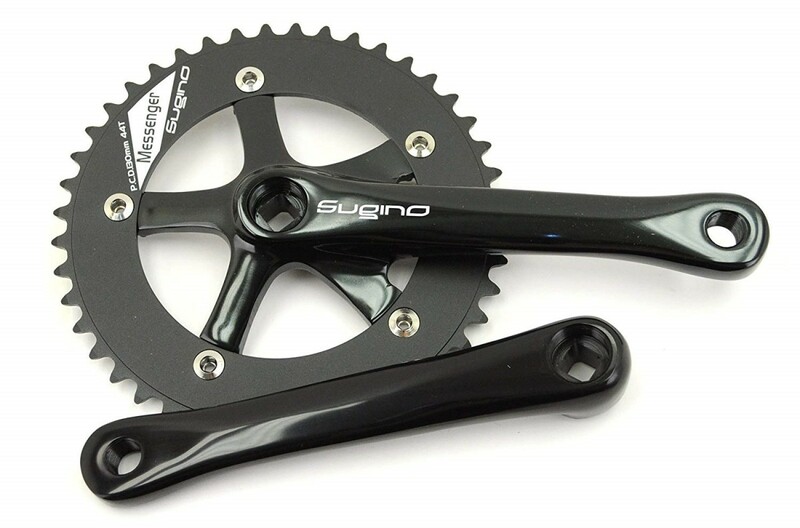 This inexpensive track-style crankset fits any bike with a square bottom bracket, and you can choose between 165mm, 170mm and 175mm lengths. If you're unsure, just grab a tape measure and make sure you'll have enough ground clearance. They are drilled for 9/16" pedals. It's worth checking out Origin8's full lineup of cranks for sale; they're a solid brand with a pretty impressive reputation. That said, these are the ones I reach for most often when putting together a classic looking track ride for a client. 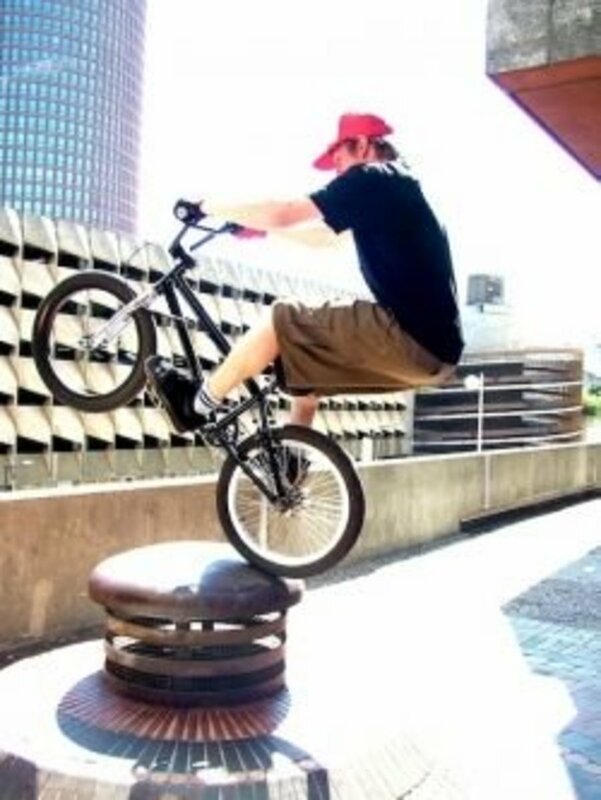 In the fixed gear bike realm Sugino has enduring popularity and appeal. Their RD2 series is pretty venerable; little has changed in quite a few years. And why should it? They have a great product with a massive fanbase. 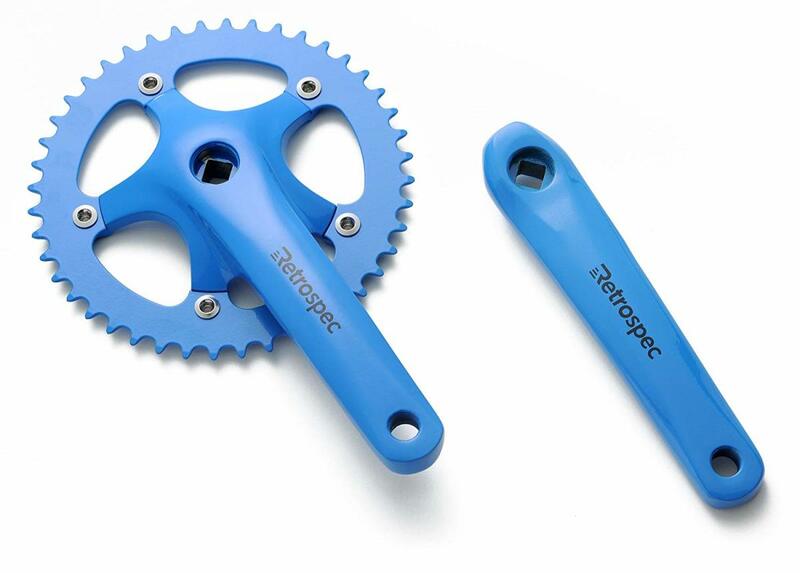 These attractive cranks are light, strong and match well with both modern and classic builds. 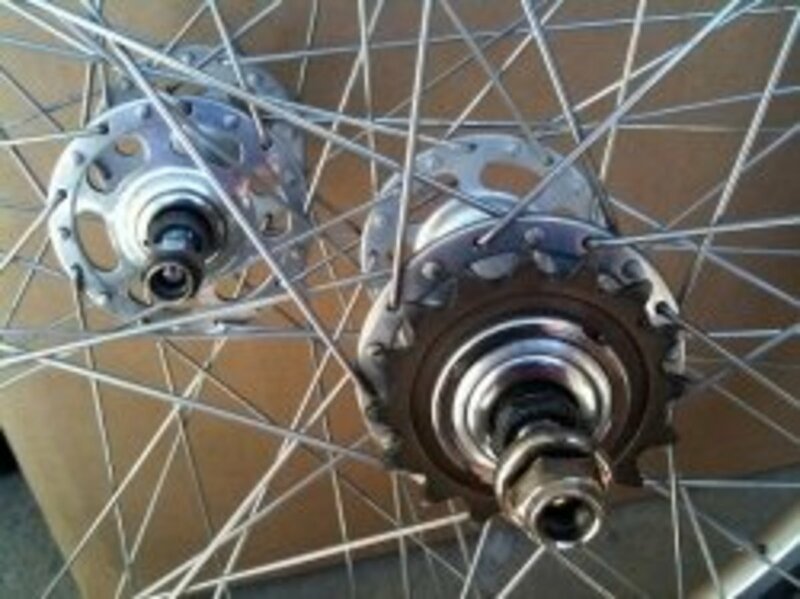 They are built from cold-forged aluminum alloy for a subtle and unique finish, and they work with the square taper bolt in most modern bottom brackets used on fixed gear bikes. As you can probably gather from the build materials, they are really stinking light too. This particular one has a 46T chainring and 165mm length, which is a good all-around tooth count for city or suburban riding. There are a variety of styles. This stealthy looking black setup is just my personal favourite. These are a step up in price compared with the first two items I've reviewed, but they're one of the top cranksets for bike messenger-style fixed gears due to premier build quality. They are a truly fantastic investment. 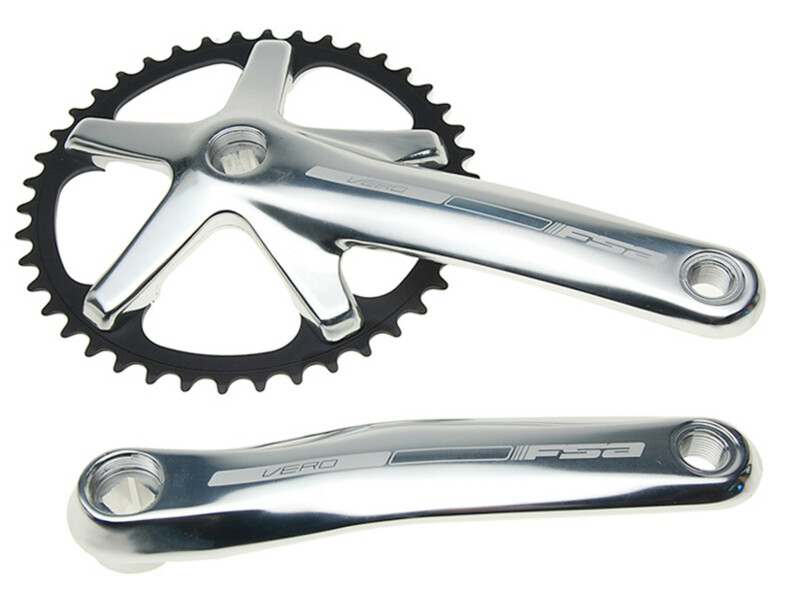 FSA stands for 'full speed ahead', and they're a mid-to-high range producers of single speed crank sets today. A lot of premium fixie builds will utilize an FSA drivetrain because they've worked hard to garnered great reviews and a solid reputation over the years. 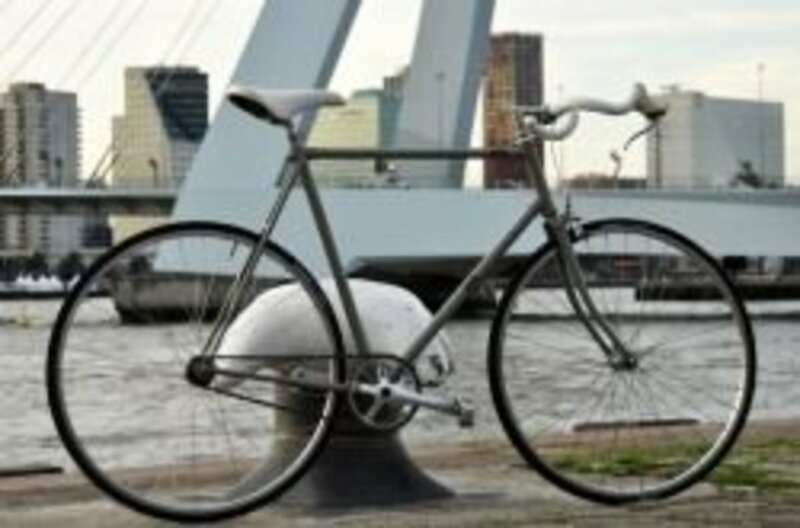 This is called the Gimondi, and it's made from 7075 forged aluminum alloy. This one is stunningly beautiful and tastefully restrained in its design. 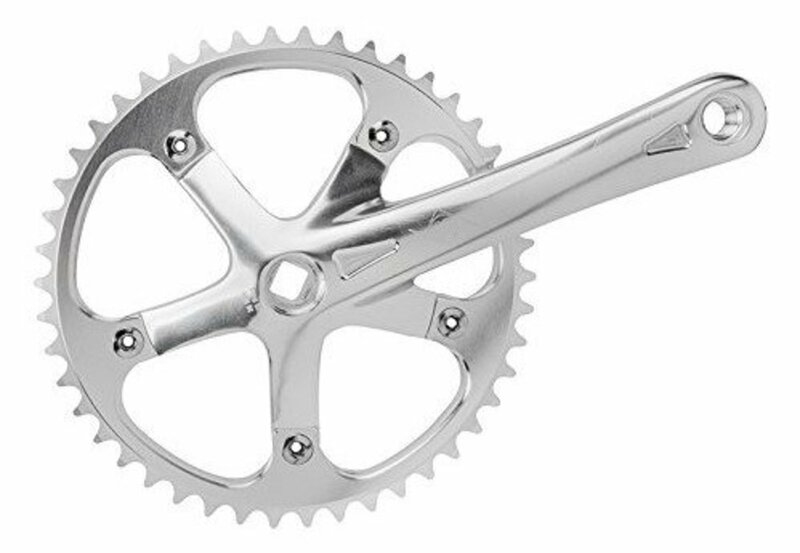 Like most good cranks, it has a full factory warranty should you run into any issues with it. The set comes in at a delightful 584 grams, and it has a 42 tooth chain ring. Like the others here it fits with a square taper bottom bracket and 9/16" pedals, and its built to work with a 3/32" chain. It's not the only FSA crank you could choose from, but it's probably the most affordable of the lot. And don't let that discourage you either; it's still a premium set. State Bicycle Co. has cornered a sweet spot in the fixed gear craze: inexpensive gear that looks great on absolutely everything. This is no different: State has produced a great crankset for fixed gear bikes because it offers excellent manufacturing quality and a sturdy chainring coupled with a low entry price point. There are a lot of colors available, so you can choose based on the style of your ride. State is decidedly less subdued as a whole (think tons of colour and flash), but I'm a big fan of their whole aesthetic. The whole thing is forged alloy, with the arms themselves being 6061 aluminum, and the chainrings being stamped. It comes with a 46T chainring and 170mm total length, which is a fairly well-rounded ratio, though I'd probably recommend it for a less hilly area or for achieving higher speeds. It's compatible with 1/8" chains. 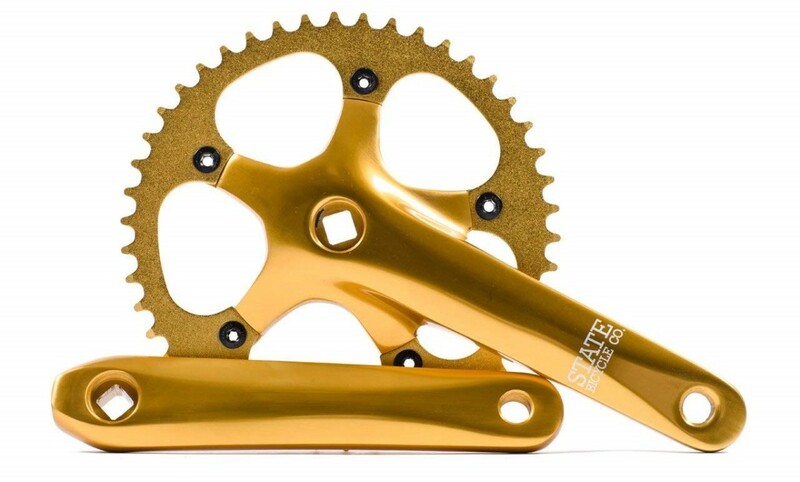 If you're a fan of colour and turning heads, I'd definitely check out State's awesome and inexpensive fixed gear cranksets, they're quite a bargain. Whatever crank you end up purchasing, make sure you're precise in your installation. Attach the cranks to the recommended torque. Also, be aware of alignment. The number one complaint I hear about is clicking chains and premature wear. If you experience these symptoms, check that your chain is a) the right size for both your chainring and your rear sprocket, and b) that the chain runs nice and straight between the two. If the chain runs at too much of an angle, you'll experience annoying clicking and jumping, not to mention early wear on these components. 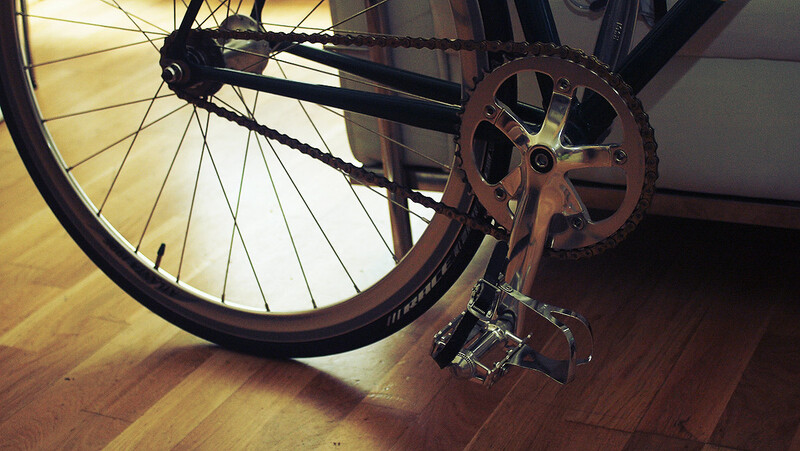 You'll also risk losing the chain entirely; that's bad news on a fixed gear. I've seen some scary homebuild setups with horrendous chain angles, so please be cognizant of this. If the alignment isn't quite right, don't fret. You can make little adjustments to improve functionality, usually by using spacers. I find that a local bike shop can be a huge help in this. It's not giving up to ask for a little professional help, in fact it often saves you time and headache. What's the Best Affordable Fixed-Gear Wheelset for 2016? Andel makes many of the cranks you speak of in this article and sell their own unbranded, are of higher quality than most if not all in this article. Their higher end cranks are stellar and cost half the price of the Name Brands as you'll never see the Andel branding on the face of their products and any branding will be a stamp on the nonface side of their products. Light strong and non blingy, perfect for those looking for a more discrete, less theft prone look. Hi fonzy, no need to worry, you probably won't have an issue going odd-even, lots of cranksets are geared that way. running 16 rear and 42 front,if i went up to 17 rear should the front be and odd number of teeth like a 45 not a 44? I'm a big fan of the SRAM omnium.